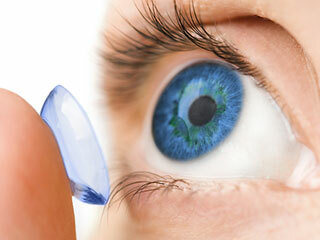 At Mitchell Eye Care we provide the most up to date contact lenses available. After a comprehensive eye and vision evaluation, our eye doctors will discuss all the contact lens options available and help you select the type that best fits your vision needs and lifestyle. Almost everyone can wear contact lenses. The art is finding the right lens for you. If you suffer from dry eye, allergies, recurring eye infections, or intolerance to previous contact lens wear, speak with our staff and eye doctors to help you determine which contact lenses are best for you. Prior to prescribing contact lenses, our doctors determine what level of vision correction you require. As with any exam, we determine the lens prescription to provide you with the best vision. Since contact lenses are medical devices and a poor fit can cause lasting complications, our doctors take the time to measure the curvature of the eye and match that with a contact lens that will provide excellent comfort and vision. After determining the level of your glasses and contact lens prescription, our doctors will work with you to determine which lens will be best for your situation and lifestyle. Contact lenses are available in soft or rigid (hard) designs. Each design is used to treat different conditions. Soft lenses are available in bi-weekly, monthly, or daily replacement to meet your lifestyle needs. Advances in contact lens technology have created great options for cosmetic and prosthetic lenses. Custom contact lenses can be created to camouflage any color variation or irregularity and produce a natural eye color. Cosmetic lenses are also available to transform your eye color. Call us at (662)-546-4306 and speak to our knowledgeable staff if you are interested in modifying or changing your eye color with contact lenses.